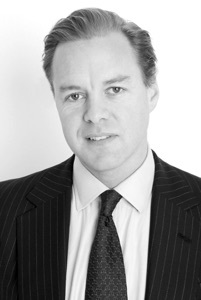 Ted Wainman trained and qualified as an Associate Chartered Accountant (ACA) with Ernst & Young before joining JPMorgan on the Investment Management side of the business. Whilst at JPMorgan, he undertook a company sponsored MBA in the International Management of Financial Services, from which he graduated at the top of his class with merit. Since 2003 Ted has been designing, developing and delivering programmes for private sector companies (including blue chips and financial services) across a range of business needs. Whether focussed on programmes to build awareness and detailed understanding around financial drivers of their business, addressing new operational initiatives or supporting business change, Ted is experienced in working with key stakeholders within the business to construct a training program that delivers sustained change. With a background in finance, Ted has a focus on financial and commercial training, but is also comfortable in designing, developing and delivering training programmes on a wide variety of softer skills from negotiation, persuading, influencing, written communications and presentation skills. Ted has worked with a wide range of companies – primarily private or listed – from blue chips to financial services, including banks, building societies and insurance companies. Ted has worked globally and is experienced in addressing the needs of programmes across varying cultural backgrounds.